I was planning to take my BRZ to Milwaukee this weekend for the Milwaukee SCCA Autocross event at Miller Park but the weather forecast cleared up, so I decided to flip the script a little bit. I made sure to tell myself a million times that I wouldn’t beat on the Mini too hard. I wouldn’t push it to the limit, I wouldn’t hit redline (5500 rpm! ), and I wouldn’t focus on anything other than having a good time. And then I got on course. As you can tell, I got considerably faster as the day went on. It wasn’t better driving, it was pushing the car more. I got right up to 5500rpm and had to let off quite a few times. On the street, I shift at 3000rpm, always. In fact, before Saturday I’d never had it on the freeway. It did that just fine, too! 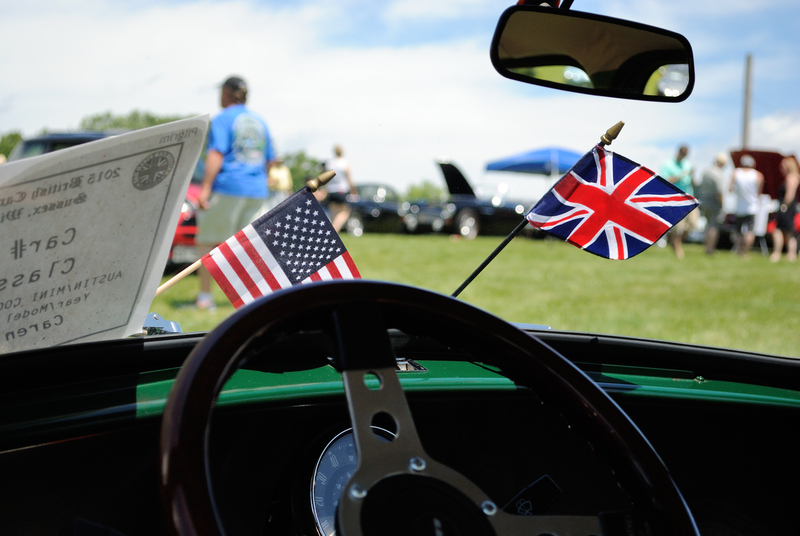 Beginning in 2015, SCCA does offer the “Heritage Classic” class for old British cars including the Mini. However, Milwaukee Region does not. I ended up in H Street with a wonderfully weird collection of cars: Fiesta ST, ‘06 Mazda3, ‘12 Focus (non-ST), ‘01 Civic (non-Si), and a 1997 Pontiac Bonneville. It was awesome. I was the slowest of 185 cars on-course for the day, but only by about 2.5 seconds. I was about 25 seconds behind the fastest time of the day, from the B-Modified class. 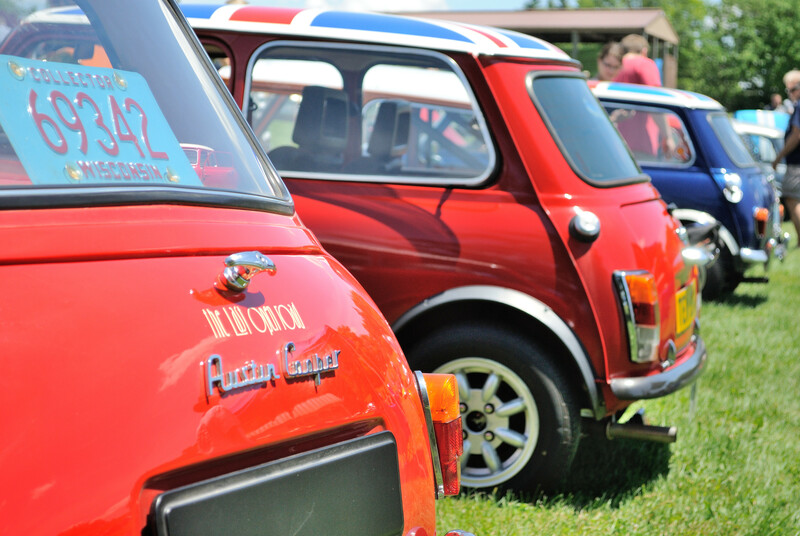 The real reason I decided to take the Mini was because Sunday was British Car Field Day in Sussex, WI! 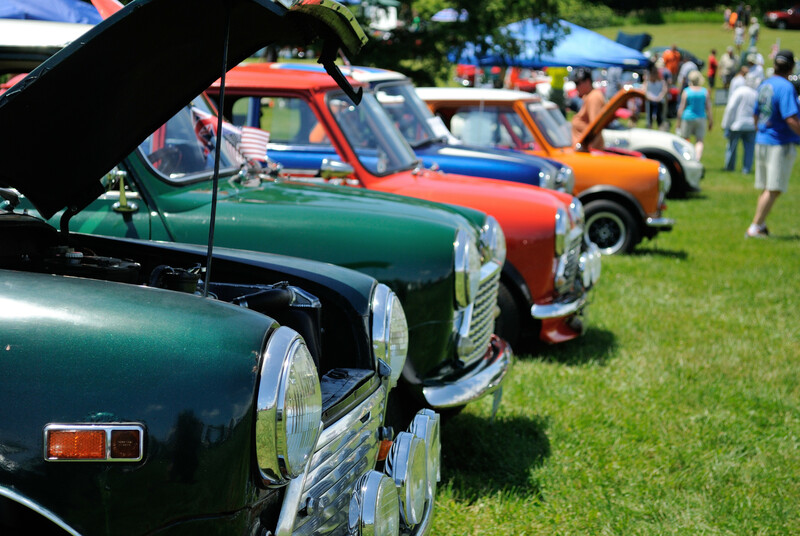 Seven classic Minis (and a Riley Elf!) 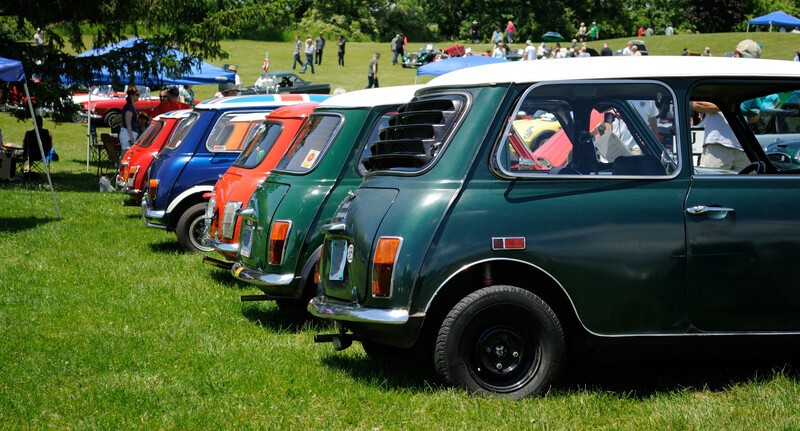 came out, in addition to hundreds of other beautiful British cars - Jag, MG, Aston Martin, Lotus, Austin-Healey, TVR, you name it. Surprisingly, they only had to jump start one car! Here’s a few pictures of the Minis - I didn’t take many photos of the other cars, and so far these are all I’ve uploaded from my camera. Enjoy! All in all, it was a great weekend! I learned a lot about what my car SHOULD look like, and how glad I am that I have the ugly seats from an Austin Metro - They’re a major comfort upgrade. The autocross was a blast, and as a bonus I barely broke anything! Nothing major, at least. I had to drive about 50 miles back home in the middle of the night, which was great for the lower temperature, but horrible for the front of the car. So many bugs. As always, feel free to ask any questions you might have.